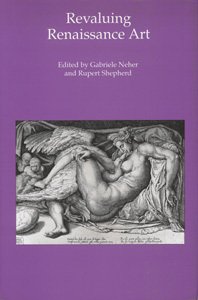 Michelangelo gave his painting of Leda and the Swan to an apprentice, rather than hand it over to the emissary of the Duke of Ferrara, who had commissioned it. He was apparently disgusted by the failure of the emissary – who seems to have been more used to buying pigs than discussing art – to accord the picture and the artist the value they deserved. Any discussion of works of art and material culture implicitly assigns them a set of values. Whether these values be monetary, cultural or religious, they tend to constrict the ways in which such works can be discussed. The variety of potential forms of valuation becomes particularly apparent during the Italian Renaissance, when relations between the visual arts and humanistic studies were undergoing rapid changes against an equally fluid social, economic and political background. In this volume, thirteen scholars explicitly examine some of the complex ways in which a variety of values might be associated with Italian Renaissance material culture. Papers range from a consideration of the basic values of the materials employed by artists, to the manifestation of cultural values in attitudes to dress and domestic devotion. By illuminating some of the ways in which values were constructed, they provide a broader context within which to evaluate Renaissance material culture.